I always look forward to a new collection release, and Barry M have been whipping them out like nobody’s business, so I thought I would start off with the All Night Long collection, which includes an Original Primer, an Anti-Redness Primer, a Full Coverage Concealer and a Medium Coverage Foundation Stick. Barry M is a really affordable brand, which are often known for their bright colours, glitters and nail polishes, so I thought it would be interested how their base products work out. 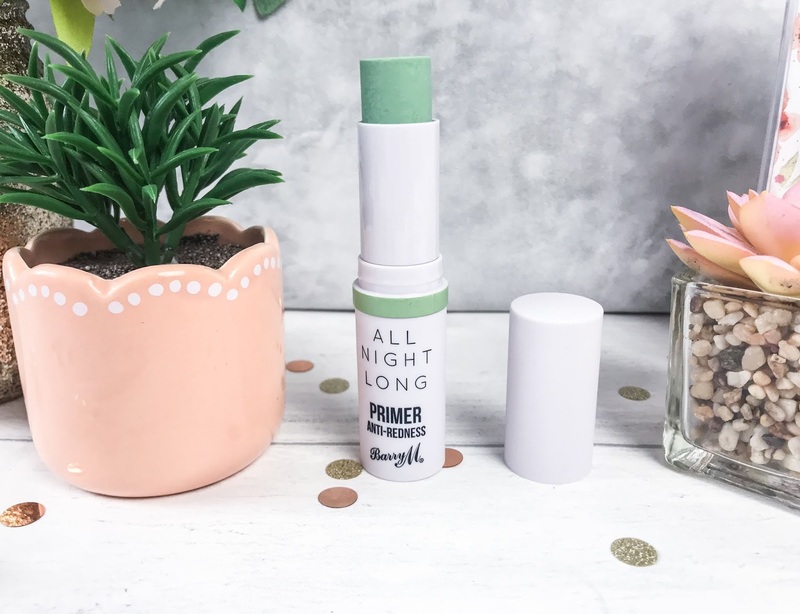 The Barry M All Night Long Original Primer (£6.99) comes in a stick form, and feels so soft on the skin when you are applying it, which feels kind of like a balm, reminding me of the Benefit Porefessional velvet feel which I love! The Original Primer blurs any skin imperfections as it has a soft focus effect that ensures your makeup looks smoother and lasts longer. 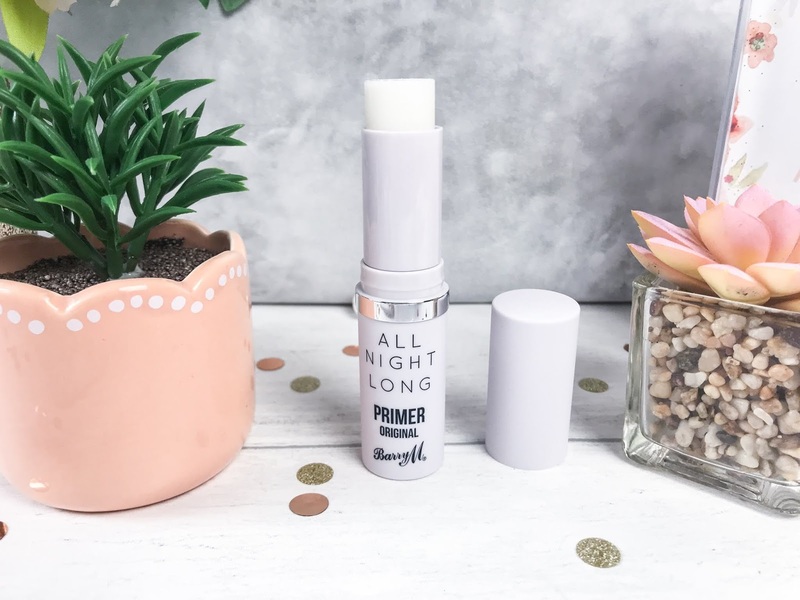 It does come in an Anti-Redness version too, which also costs £6.99, which is an excellent option if you suffer from any redness, rosacea etc on the skin. I personally get redness on my cheeks especially, so I thought this would be great for me. It feels just as soft and smooth as the Original Primer, yet tones down that redness without being overly green and scary. The one thing I would recommend with stick products is to wipe the tip with a tissue after each use just to keep it clean and to ensure you aren’t putting dirt on to the face which can cause breakouts. Altogether very impressed with this product, as it just makes my skin feel super duper soft. 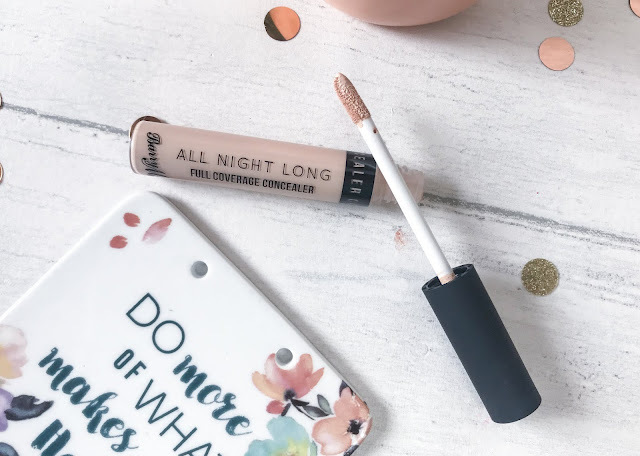 We then have the Barry M All Night Long Full Coverage Concealer (£4.49), which is available in six shades - I opted for shade 2 Oatmeal which works well with my skin tone for blemishes and redness, but I would probably need the lighter shade for under the eyes. This is marketed as a full coverage concealer, however I do have concealers with much fuller coverage, however paired with the primer, this concealer works amazingly well as blurring out any imperfections and also has that soft focus effect as with the primer, to make the skin look flawless. It is paraben free and contains Vitamin E to moisturise the skin as well as giving an illumines glow to the skin, but in a pretty, natural way. Finally, for the last step in flawless skin, we have the Barry M All Night Long Medium Coverage Foundation (£6.99), which like the primers is in stick form rather than liquid and is available in eight shades. I chose shade 1 Milk, which regularly would suit my fair skin really well, however, after a few weekends in the sun (hallelujah), it is slightly pale for me at the moment. 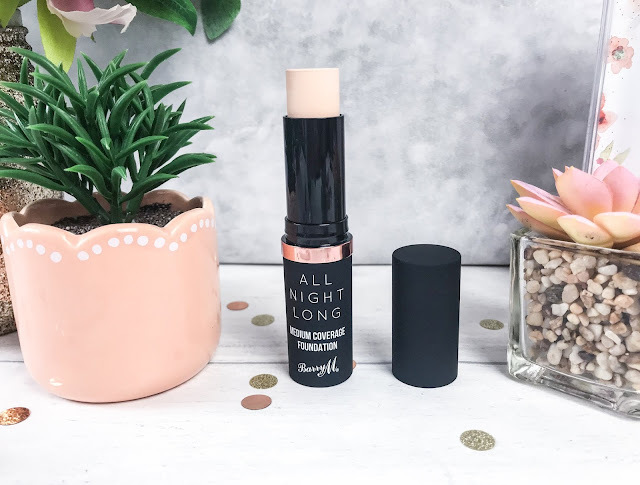 All Night Long Foundation has a smooth, creamy formulation which makes it easy to blend into the skin, and due to the shade selection, Barry M also recommend using it to contour and highlight with, and due to the shape and texture, I do think this would work really well. Even though it states itself as being a medium coverage, I find the formula really buildable, and as it is in stick form, it is so quick to use and with a luminous finish, makes the skin look really healthy and glowy. 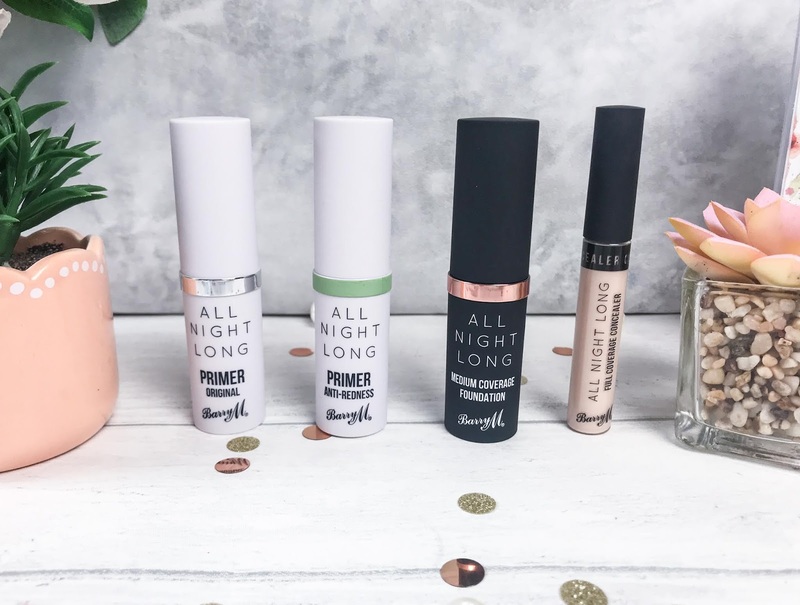 The Barry M All Night Long collection is available instore and online at Superdrug.